1.Drive out spring pin (1 ) using 1/16-inch drive pin punch and hammer. 2. 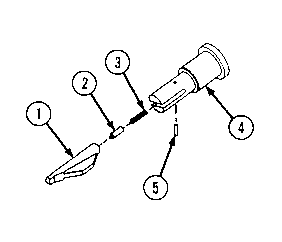 Remove forward assist pawl (2), pawl detent (3), helical spring (4), from plunger assembly (5). 1. Inspect forward assist pawl (1 ) for deformities, burrs, chips, and cracks. Minor burrs may be removed using fine files or stones, as required. Replace pawl if defective. 2. Inspect pawl detent (2) for deformities. Replace detent if defective. 3. 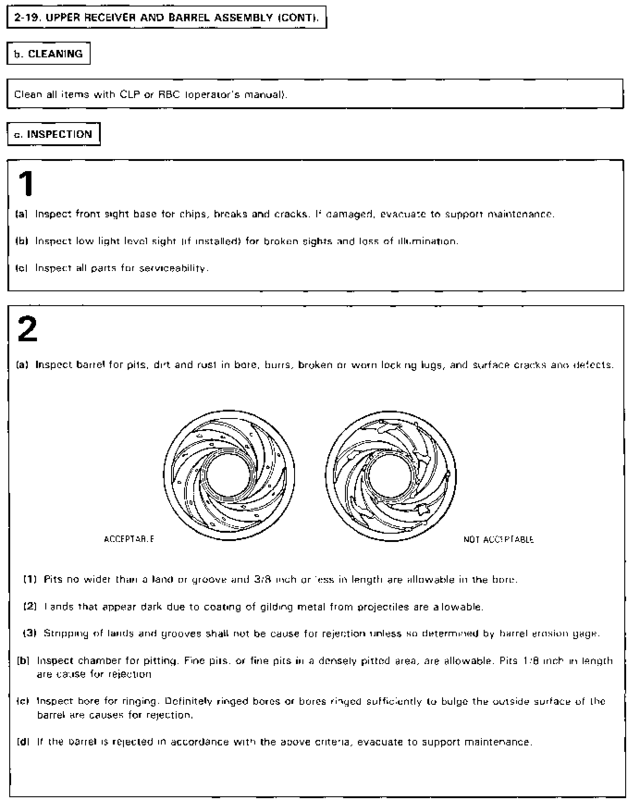 Inspect helical spring (3) for kinks, breaks, and wear. Replace spring if defective. 4. Inspect plunger assembly (4) for wear, burrs, chips, and breaks. Minor burrs may be removed using fine files or stones, as required. Replace if plunger assembly is defective. 5. Inspect spring pin (5) for wear or deformities. Replace if defective. Clean all parts of the forward assist assembly. Lubricate helical spring, pawl detent, and forward assist pawl with CLP, LSA, or LAW (see p 2-22) before installation.